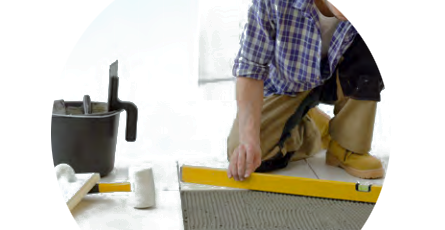 Perfect for both domestic DIY projects and trade projects, our range of tiling accessories covers all aspects of tiling from installation to repair. We stock a wide range of accessories for fitting and fixing plus a quality range of tiling grout and adhesives. Get stuck in to our huge range of tile adhesive and choose the one that fits your requirements. Whatever tiling job you have ahead of you we've got the perfect adhesive to get the job completed. Protect your walls, floors and tiles whilst giving your tiling job a gorgeous finish with our great range of tile grout. Choose a colour to complement your tile colour and finish; giving your project a stunning look for years to come.